Review your paperwork. Make sure you haven’t left any sections blank, with the exception of the space for your signature. Some sections may not apply to you, such as those asking you to identify your children when you don’t have any. Write “N/A” or “not applicable” in these places. The notary will want to know that no one else is going to add information to the document after she’s signed it and has stated under oath that you completed the form. Collect proof of your identity. Some notaries may require more than one form of ID, especially if neither has a photo on it. Acceptable identification usually includes your driver’s license, a school or employment ID, or passport. It should be of recent issue and bear your signature. In the case of a driver’s license, it should not have expired yet. Find a notary public. Bank employees, law office employees and courthouse staff are usually notaries. Call ahead to ask about cost. Notaries usually charge a nominal fee, and some may require that you make an appointment. Courthouse staff will usually do it for free, but you might have to wait in line for a while. 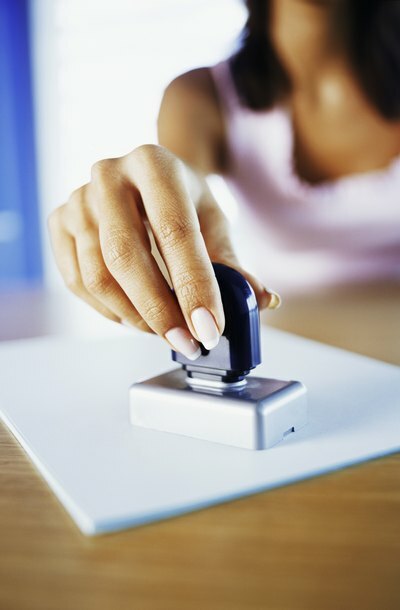 Appear before the notary with your completed document and your ID. She may ask you a few questions to confirm to her satisfaction that you are who you say you are, especially if your ID does not include a photo. Sign the document in her presence. She’ll compare your signature with that on your identification and notarize the document for you. When an individual, company or government agency subpoenas a company's records, the company must respond. When the company turns over records in response to a subpoena, an employee of the company who is familiar with the records verifies that the records are authentic by signing an affidavit. Many subpoenas include a form affidavit for the document custodian to complete and return to the party that requested the records.